Teck Resources announced a partnership with Fort Chipewyan Métis Local 125 for business opportunities and environmental stewardship relating to Teck's Frontier oil sands project, which is located on the First Nation's territory. Local 125 President Fred (Jumbo) Fraser said "Teck has been listening to our concerns and has committed to continue to work with us as they progress through all stages of their development. Other companies could learn from Teck and how they have treated the section 35 rights-bearing Fort Chipewyan Métis." The Frontier Project is a proposed oil sands mine located about 110 kilometres north of Fort McMurray (about halfway the distance to Fort Chipewyan). Teck submitted its application to federal and provincial regulators in 2011, with a decision pending next year. The first phase is expected to produce 170,000 bbl/day. Teck has not yet hinted if and when it will make a final investment decision on the mining facility but says the plant could be operational as early as 2026. The company's "oil sands" expenditures are currently being funnelled into its 20% stake in the Fort Hills mine, owned jointly with Suncor and Total. 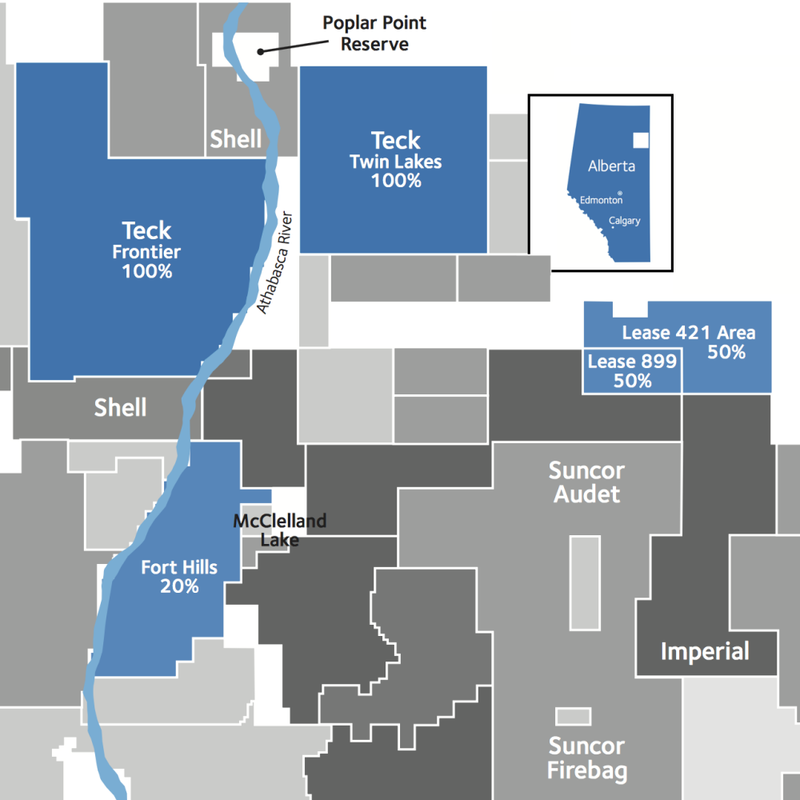 In contrast, Frontier is 100% owned and operated by Teck Resources.